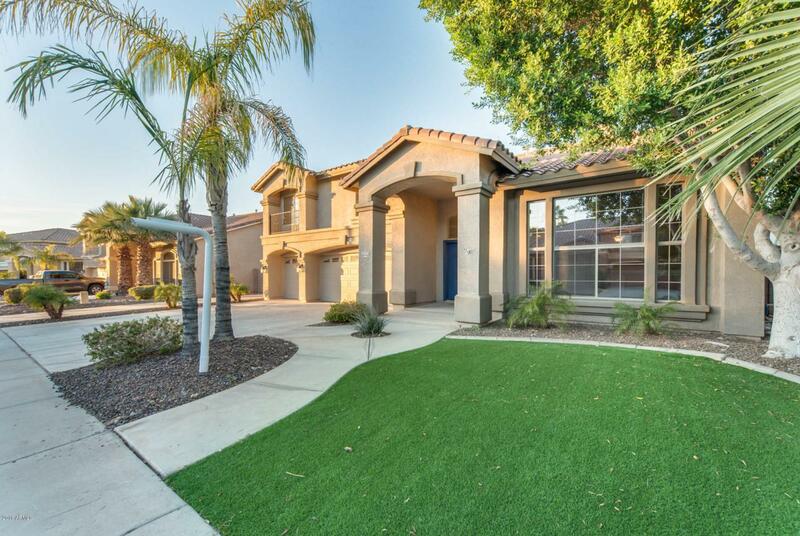 Do not miss this stunning 6 bed, 4 and a half bath home in Litchfield Park. The vaulted ceilings throughout the home enhance the living space. 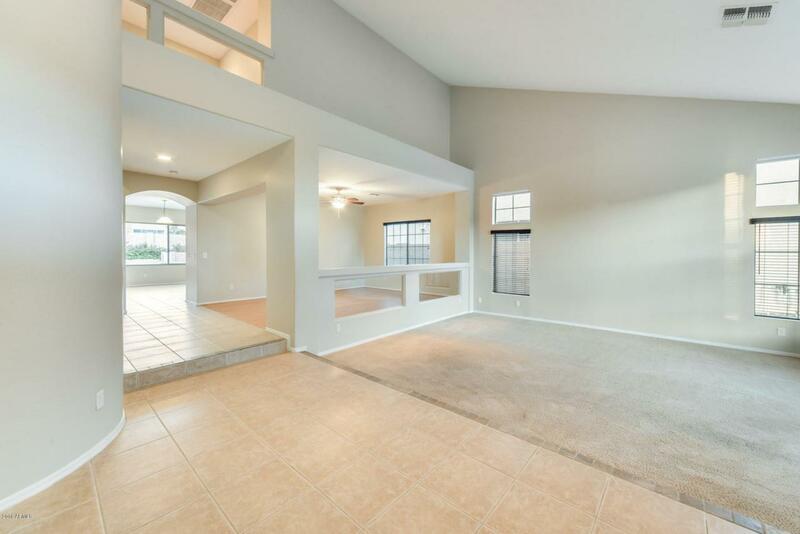 The living room is spacious; perfect for entertaining friends and family! 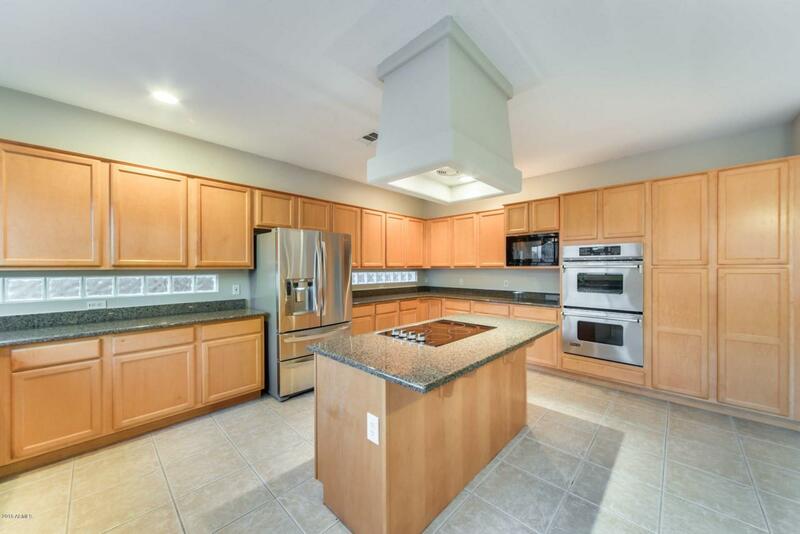 The kitchen has beautiful wood cabinets, granite counters, dual ovens, and a breakfast bar. Come relax in your spa-like master bath that has a large soaking tub, while adding a spark to your evening with the dual-sided fireplace! Step out to your backyard oasis, where you are set to have a good time year-round! 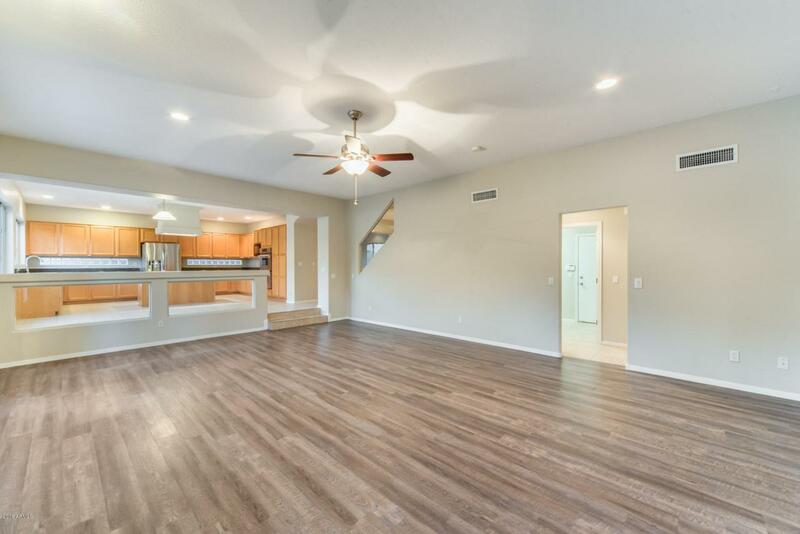 Enjoy barbecuing and hosting guests at the built-in bbq and table, jump in the refreshing pool to cool off in the Arizona summers, or play some yard games on the artificial turf! Schedule your showing today!